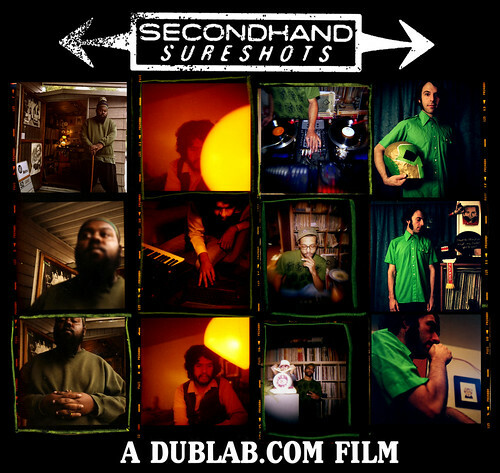 Secondhand Sureshots is a filmed experiment in creative sound recycling. Dublab director Bryan “Morpho” Younce sent some of the world’s best beatmakers/DJs (Daedalus, Nobody, J. Rocc and Ras G) on a safari into L.A. thrift stores with orders to make new music out of five finds while the cameras filmed the whole process. The result is a mini-documentary about putting new life into old vinyl. Over 2 hours of footage, music & bonus material. Accompanying the DVD is a CD of exclusive music created during the process alongside remixes and bonus beats..
i don’t remember where i found it, but it’s a rip of dvd.